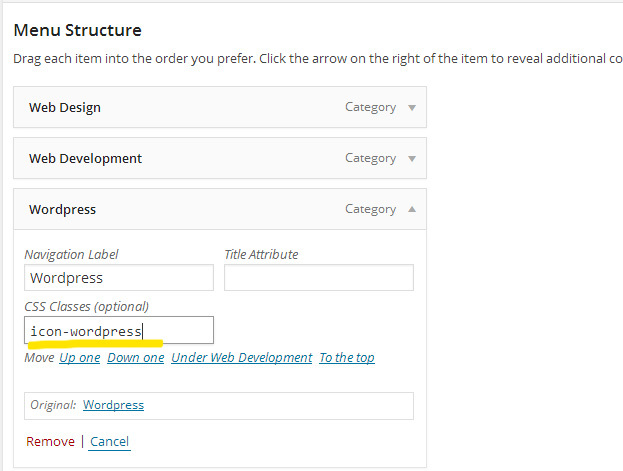 WordPress > 3.8 comes with a brand new admin interface built upon the “top secret” MP6 plugin. All graphic elements are HiDPI (retina) friendly by using the Icon Fonts (dashicons). We are going to explain how you can use this awesome utility on your frontend category menu. Since wordpress 3.8 and above already included the icon font library, what you need to do is just load the css in the front end, insert some new CSS and update your custom menu settings. Now that you’ve loaded the dashicons css, let’s implement some cool icons! You can refer to the dashicons resource by Mel Choyce. 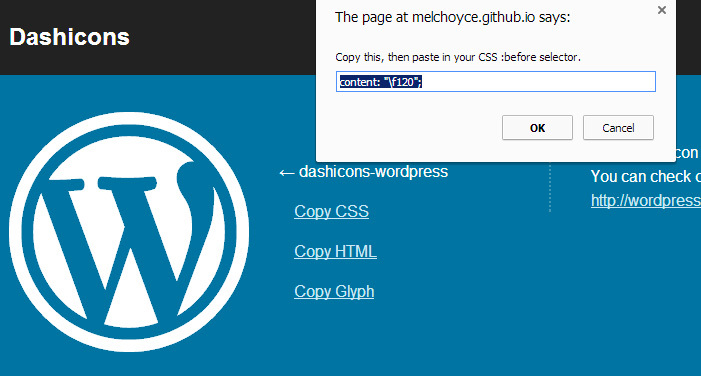 Let say you wanted to add the wordpress icon to your custom menu, Click the icon glyph, then click the “Copy CSS” link, it will open a dialog box containing the CSS code for that icon. It’s easy huh? Now you have the awesome icon font for your custom menu. Apply the same steps to all your menu items and your blog would looks cool!